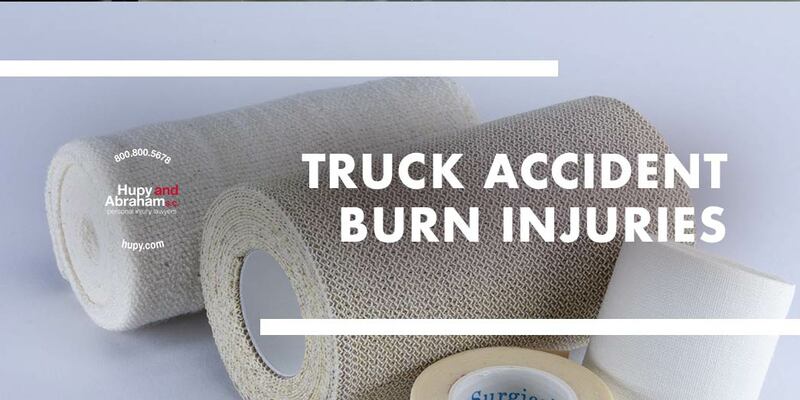 Truck Accident Burn Injuries | Hupy and Abraham, S.C. The trucker, trucking company, or other party that caused your truck wreck owed you a duty of care. They had a duty to use reasonable care to keep you safe, and they failed to do that. That failure led to your physically painful, emotionally devastating, and financially expensive burn injuries. The truck’s large fuel tank. The toxic or flammable cargo that the truck is carrying. A problem with the truck’s electrical system. A fire or an explosion that results from a truck wreck could result in different degrees of burn injuries. First-degree burns are the least serious type of burn and may heal without medical intervention. Second-degree burns may cause blistering and pain through two levels of skin; medical intervention may be able to allow faster and better healing. Third-degree burns can result in scarring, dead tissue, and nerve damage. They require extensive medical treatment and may require surgery. In some cases, third-degree burns can be fatal. You may be unable to work during treatment, and you may be left with permanent scarring or disfigurement as a result of your injuries. You deserve to make a fair recovery for your past, current, and future damages after any type of truck accident injury. This includes your medical expenses, your lost income, your physical pain, your emotional suffering, and any other damages that you’ve incurred as a result of your burn injuries. To find out who may be responsible for paying your damages and about how to secure your recovery you need to speak with an experienced truck accident attorney, please contact us online or call us directly at 800.800.5678 to schedule a free, no-obligation consultation. ?How do truck accidents result in respiratory injuries? ?What happens if I’m in a crash with a government truck? ?What can I do to avoid being in a truck crash?